I first heard about homeschooling from parenting coach (and unschooler) Scott Noelle, who at the time lived Seattle. I loved how technology enabled me, in England, to get coaching from someone on the other side of the US – but when I thought about taking my children out of school, five thousand miles seemed a long way from the nearest homeschoolers I knew! In search of kindred spirits closer to home, I turned to technology again. I was excited when Google told me there was a homeschool group just fifteen minutes from our house, and within weeks I was enjoying tea and cake with some of the kindest, most welcoming ladies I had ever met, while my five-year-old happily played with their children. Here were real life families thriving without school (their children looked just like normal children – shock!) – I’d had no idea these people were right on our doorstep! In those first few months after we took the leap, homeschool group was the highlight of my week. I would look forward to it for days, and by the time I got there I was in a state of such high excitement the other ladies must’ve thought I was completely bonkers. I wanted to hear everything about these women’s experiences of homeschooling, and I also had an urgent need to talk, to these wonderful people who understood what was going on with us. I had a million questions, which my dear new friends answered patiently, and they lovingly supported me through some difficult times while my husband and extended family questioned my desire to homeschool. When my extroverted six-year-old daughter met our new homeschooling friends in the summer school holidays, she decided she wanted to leave school too. “I used to think it was just J(5) sitting at home all day. Now I can see you have fun!” she said. That was three years ago, and although because of my children’s particular needs we no longer attend that first homeschool group, we count several of the people we met there as very good friends. We would have missed out on so much if we had never been a part of it. If your local homeschool group isn’t a good match – or even if it is – I recommend trying several different groups. In the three years we’ve been homeschooling, we’ve been to four different homeschooling groups. We attended our most local group for the first year we homeschooled. During that time we also went to another group for two terms. It was more structured than our main group, and my daughter enjoyed the variety of activities offered – they did fencing and drama, for example. A third group we enjoyed very much – it began with a wonderful art class and the rest of the time the children played with sticks in a tall hedge (my two were in heaven!) – but we decided it was too far away. With the fourth group we hit the jackpot. It’s also further afield, but it’s a perfect match for my intense, freedom-loving children – we’ve been there almost every term-time Tuesday for the last two years. We made real friends at our first (most local) homeschooling group. Friends we’ve been on holiday with, friends we go for long walks in the woods with, friends who’ve joined me in a (parents only) Homeschool Inspiration Group. And that first group also gave us access to a rich local network who generously invite us to everything they organise. Thanks to our participation in that group we’ve enjoyed field trips to galleries, botanical gardens and a space centre, we’ve taken part in homeschool sports and swimming sessions, and we often meet up for ice skating. We’ve also done French lessons and trampolining classes together – and that’s all since we stopped going to the regular group meetings! I think I will continue to appreciate our local homeschool network as my children get older. Although at the moment all our academic work is done within the family, in future I anticipate setting up learning workshops to meet my children’s maturing educational needs. Friends will also become increasingly important as C(9) and J(8) grow older. Having a wide local network to draw on will, I hope, allow my children to find the friends with shared interests and values who will be an important part of their development into adults. Homeschool Support at Every Bed of Roses – Where do you get your homeschool support? Home Ed and Otherwise at The Tiger Chronicle – Our successes with different groups. Unable to Commit at Barefoot Hippie Girl – A sad story of how the inability to commit sunk a home school group. 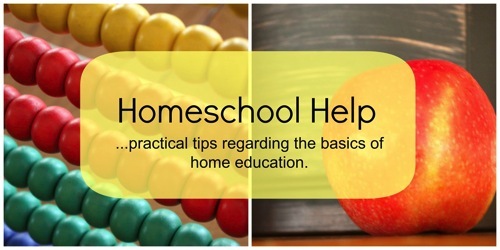 Local Homeschool Group at Highhill Homeschool – I will always be a member of a homeschool group. It Takes a Community at Seven Little Australians – Erin has been involved in home education support groups for three decades. She shares an overview of that journey and the importance the groups have played for her family. Homeschool Groups– This mom’s Lifeline! at One Magnificent Obsession – Why our homeschool group is pivotal to our homeschool experience! Local Homeschool Support Group – A Breath of Fresh Air at Hammock Tracks – No blog, forum or online group recharges or equips me to be a better home educating mother, like my local support group.